Paulita Pacheco (b. 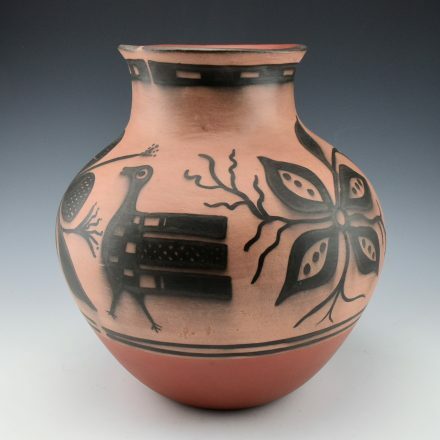 1943) is a sister of noted potter Robert Tenorio. 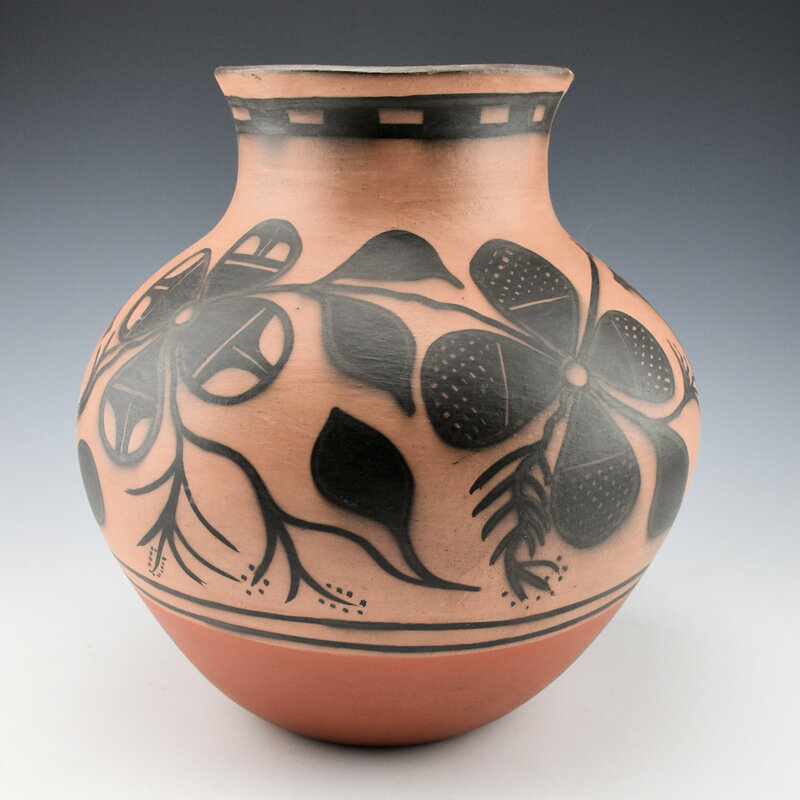 She is married to Gilbert Pacheco and her daughter, Rose Pacheco continues to make traditional style Kewa pottery. Paulita learned to make pottery from her mother Juanita C. Tenorio and grandmother Andrea Ortiz. 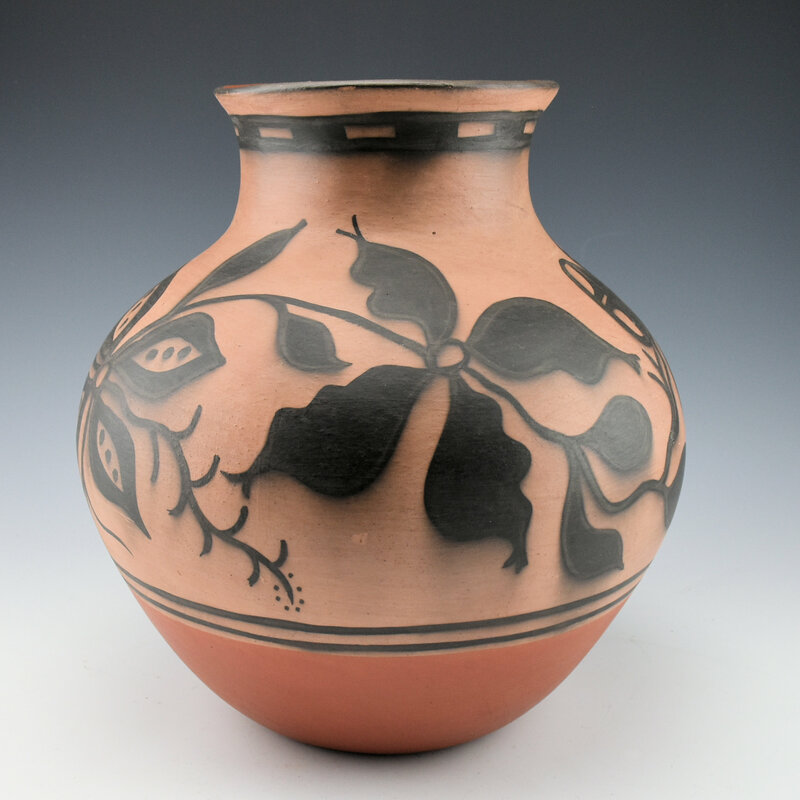 This jar is coil built, painted with bee-weed (black) and red clay slips and traditionally fired. The jar has a classic style Kewa bird as the design along with flowers which encircle the jar. 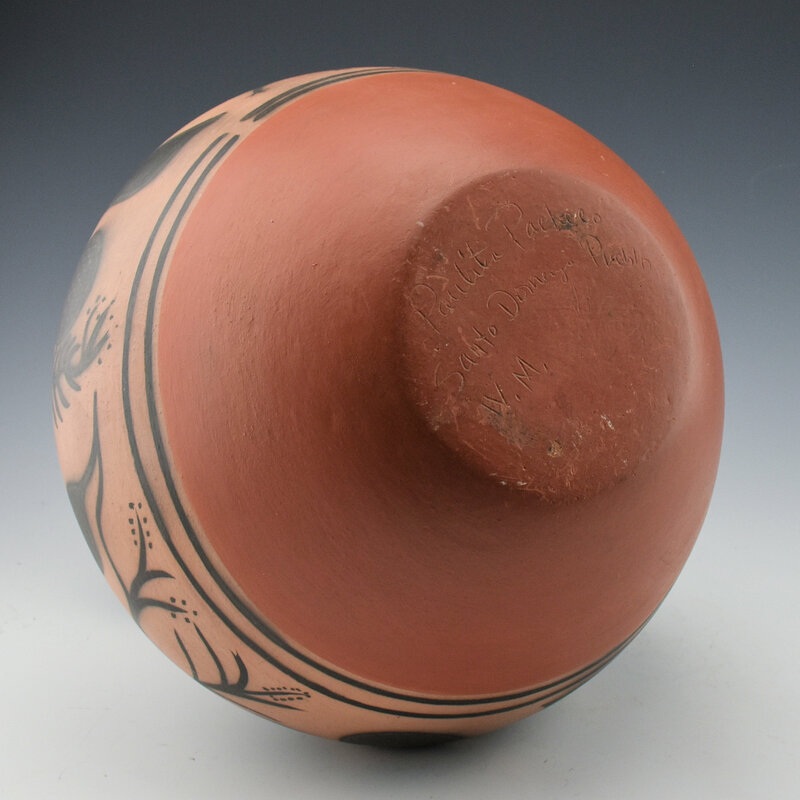 The jar is signed on the bottom in the clay, “Paulita Pacheco”. It is in very good condition with no chips, cracks, restoration or repair.